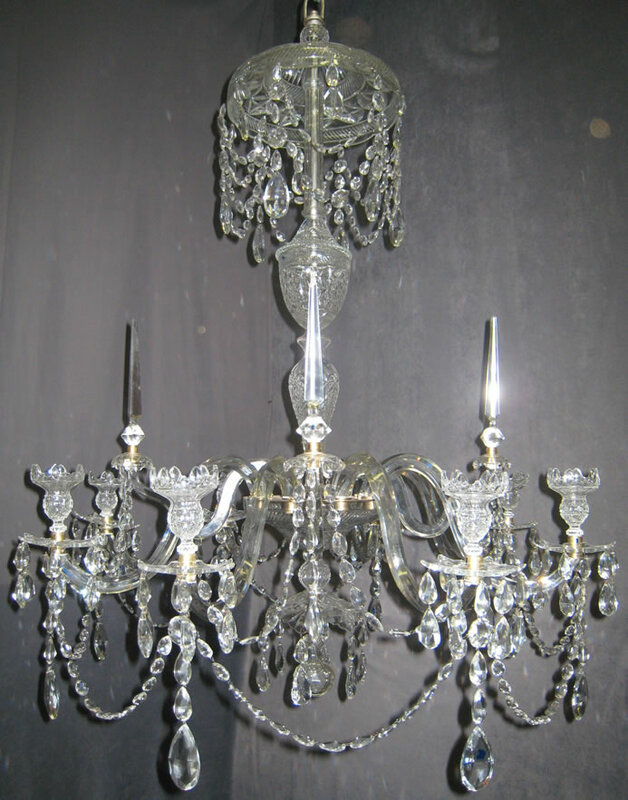 One of a pair of eight light chandeliers in the Adam style. Cut crystal with crystal trim. Created by Nesle Design.